2. The appellant is alleged to be a history-sheeter who has been involved in at least 31 grave crimes “ many of them murder, attempt to murder and kidnapping. He has been in jail since 24.6.2015 in connection with these crimes. A preventive detention order dated 5.9.2016 was first passed against the appellant under section 12(2) of the aforesaid Act. A representation against the aforesaid order was also made by the appellant on 12.9.2016, but for want of State Government approval within the time specified under the said Act, the order was rendered ineffective “with effect from today”. This was, in fact, stated to be so by an order dated 17.9.2016, which “revoked” the said detention order As this was the case, the present detention order was passed on 21.9.2016. It is not disputed that this order has been passed on the self same grounds as the order dated 5.9.2016 with certain other grounds that have arisen, all of which are prior to 17.9.2016. This order was approved by the Under Secretary to the State Government on 26.9.2016. A representation was made to the District Magistrate dated 28.9.2016 who acts under delegated power under the State Government. This representation was rejected on 6.10.2016 by the under Secretary to the Government of Bihar. On the very date, a second representation was sent, this time to the State Government. This representation has not been adverted to or disposed of by the State Government. On 20.10.2016, the Advisory Board, constituted under Section 18 of the Act, stated that the grounds of detention were made out under the Act, and finally on 25.10.2016, the second order of detention was confirmed by the State Government. 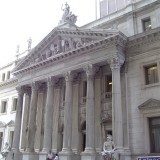 A writ petition was filed by the appellant challenging the aforesaid order. By the impugned judgment dated 18.1.2017, it was held that the appellant was a history-sheeter with a long standing record of criminal antecedents and involved in grave offences even though he is acquitted in 18 of 31 cases. There are at least 13 cases including serious offences in which, apart from other cases, he is facing trial. It was further found that this is not a case where the detention order is passed on stale grounds. It was also held that this order was passed “apart from old cases other than cases in the grounds justifying detention” including 3 recent entries which are called “sanhas” entries in different police stations with regard to the appellant’s conduct. It was further held that the appellant’s representation made to the State Government on 6.10.2016 not having been disposed of can make no difference inasmuch as this representation and the first representation are virtually the same “ the first representation had been considered and rejected. The Court held that the first was considered by the District Magistrate who opined that it ought to be rejected, and this was considered by the State Government, which took the same view. It was also held that no mala-fides were involved, and the plea that the appellant was not informed as to the authority to whom he should make the representation, was dismissed by stating that the detention order itself stated that it could be made through the Jail Superintendent. The appellant states that he is an illiterate person who cannot read and write but is advised by well-wishers and lawyers who are well informed, and that since, through his advisors, he has made a representation that was rejected, no prejudice was caused to him. The Division Bench found no infirmity or illegality in the order impugned. 3. Mr. U.R. Lalit, learned senior counsel appearing on behalf of the appellant, has argued five points before us. According to him when the first preventive detention order namely, 5th September, 2016 has been “revoked”, the second order can only be passed on fresh grounds which arise after the order of revocation, namely after 17.9.2016. Since it is an admitted case that the grounds on which the 21.9.2016 order passed, are all prior to this date, there is a direct infraction of Section 23(2) of the Act, and that therefore this itself would be sufficient to render the said detention order illegal. He raised four other points “ that the order does not mention the authority to whom the representation is to be made, and that this would violate both Article 22(5) of the Constitution and Section 17 of the Act. He cited a number of authorities in support of this proposition. He also argued that since the appellant was already in jail for over a year before the preventive detention order was passed, the basic requirements of Section 12(1) of the Act were not met, namely, that the State Government must not only be satisfied, with respect to a person, with a view to prevent such person from acting in any manner prejudicial to the public order, but that it must further be satisfied that there is reason to fear that the activities of anti-social elements cannot be prevented otherwise than by the immediate arrest of such person. According to him, a person already having been arrested does not satisfy the second part of Section 12(1) of the Act, and the order would therefore fail on this ground also. Two other grounds were raised, namely, that the District Magistrate has acted contrary to Section 12(3) of the Act read with Section 21 of the General Clauses Act, 1897 and that the State Government has not at all dealt with the second representation made to it on 6.10.2016, and that this would also be fatal to the impugned order. 4. Mr. R. Basant, learned senior counsel appearing for the State, countered each one of the aforesaid submissions. He began by handing over to us two lists “ one of pending cases which were against the appellant and another list of 18 acquittals. According to him both these lists show that the appellant is a desperate criminal who has been able to get out of the clutches of the law in that either witnesses of the prosecution have not turned up at all, or or they invariably turned hostile. All the acquittals are on this basis, and it is reasonably apprehended that even in other cases, the same result will ensue. He also adverted to the definition contained in Section 2(d) of the Act namely, “anti-social element” and stated that even in jail, such person could be an anti-social element as he could be a member or leader of the gang who habitually commits or attempts to commits or abets the crime of an offence punishable under Chapter XVI or XVII of the Penal Code. The appellant could continue to conspire and carry on with his nepharious activities even when in jail. He further countered the other submissions as well stating that at least insofar as the representation to the authority not being named is concerned, no prejudice was caused to the appellant, inasmuch as the Jail Superintendent, to whom he was to send his representation would forward it to the State Government in any case. Also the appellant was not in any doubt as to which authority he has to make a representation. In fact, he made a representation to the District Magistrate and that this really is a technical ground without any substance. He also stated, relying upon the judgment of this Court in Rameshwar Shaw Vs. District Magistrate Burdwan & Anr. reported in AIR 1964 SC 334, paragraph 12 in particular, that the detention order specifically states that it is apprehended that the accused may be released from the jail at any time, as in fact he was so released, having been given bail by a subsequent order, and may again commit such serious crimes in the urban and rural areas of Patna district, and that this ground therefore does not avail the appellant. So far as the District Magistrate acting contrary to section 12(3) of the Act is concerned, according to the learned counsel, this ground also does not obtain and has not been raised earlier. He also supported the High Court judgment insofar as the State Government not dealing with the second representation is concerned. According to him, it was almost identical with the first representation, and the first representation has been fully dealt with in the rejection order dated 6.10.2016 by the State Government. 12. Power to make order detaining certain persons.-(1) The State Government may, if satisfied with respect to any person that with a view to preventing him from acting in any manner prejudicial to the maintenance of public order and there is reason to fear that the activities of anti-social elements can not be prevented otherwise than by the immediate arrest of such person, make an order directing that such anti-social element be detained. Provided that the period specified in an order made by the State Government under this sub-section shall not, in the first instance exceed three months, but the State Government may, if satisfied as aforesaid that it is necessary so to do, amend such order to extend such period from time to time by any period not exceeding three months at any one time. Provided that where under Section 17 the grounds of detention are communicated by the officer making the order after five days but not later than ten days from the date of detention, this sub-section shall apply subject to the modification that, for the words "twelve days", the words "fifteen days" shall be substituted. 17. Grounds of order of detention to be disclosed to person affected by the order.-(1) When a person is detained in pursuance of a detention order, the authority making the order shall, as soon as may be, but ordinarily not later than five days and in exceptional circumstances and for reasons to be recorded in writing, not later than ten days from the date of detention, communicate to him the grounds on which the order has been made and shall afford him the earliest opportunity of making a representation against the order to the State Government. (i) notwithstanding that the order has been made by an officer mentioned in sub-section(2) of Section 12, or by the State Government to which that officer is subordinate. 6. Since, according to us, Mr. Lalit is on firm ground on the first point that he has raised before us, we do not propose to go into any of the other points. 7. As has been stated hereinabove, the second order of detention dated 21.9.2016 is passed only on grounds which arose prior to the order of revocation dated 17.9.2016, it would fall foul of Section 23(2) of the Act. Mr. Lalit relied heavily upon the judgment of this Court in Hadibandhu Das vs. District Magistrate, Cuttack & Another 1969 (1) SCR 227 in support of the proposition that the expression “revocation” is not be narrowly construed, and would include any detention order, whether legal or illegal; and whether it has lapsed by time or has otherwise not complied with statutory requirements, which would include technical defects. He stated that this judgment has been repeatedly followed. 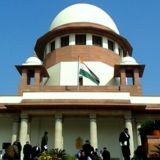 On the other hand, Mr. Basant submitted before us, relying upon a Federal Court judgment and an earlier Constitution Bench judgment of this Court in Jagdev Singh vs. State of Jammu & Kashmir AIR 1968 SC 327 that if a detention order fails because of technical defects, the self same grounds can always be utilised in the second detention order. “The phraseology of sub-s. (2) of s. 13 before it was amended was explicit : there was no bar against a detaining authority making a fresh order of detention after revoking a previous order based on the same or other grounds. It contained no implication that a fresh order may be made only if it was founded on fresh grounds. "It may be that in cases in which it is open to the Court to examine the validity of the grounds of detention a decision that certain alleged grounds did not warrant a detention will preclude further detention on the same grounds. But where the earlier order of detention is held defective merely on formal grounds there is nothing to preclude a proper order of detention being based on the pre-existing grounds themselves, especially in cases in which the sufficiency of the grounds is not examinable by the Courts." That case arose from an order of detention under Ordinance III of 1944. In two latter judgments of this Court in Naranjan Singh Nathawan’s case (supra) and Shibban Lal Saksena’s case (surpa) decided under the Preventive Detention Act, 1950, it was ruled that where the previous order was revoked on grounds of irregularity in the order, the detaining authority was not debarred from making a fresh order complying with the requirements of law in that behalf. Relying upon these cases the Solicitor-General contended that it was settled law before s.13(2) was amended by Act 61 of 1952 that a detaining authority may issue a fresh order after revocation of an earlier order of detention if the previous order was defective in point of form or had become unenforceable in consequence of failure to comply with the statutory provisions of the Act, and that by the Amending Act it was intended merely to affirm the existing state of law, and not to enact by implication that revocation of a defective or invalid order attracts the bar imposed by s.13(2). There is, in our judgment, nothing in the language used by the Parliament which supports that contention. The power of the detaining authority must be determined by reference to the language used in the statute and not be reference to any predilections about the legislative intent. There is nothing in s.13(2) which indicates that the expression “revocation” means only revocation of an order which is otherwise valid and operative : apparently it includes cancellation of all orders-invalid as well as valid. The Act authorises the executive to put severe restrictions upon the personal liberty of the citizens without even the semblance of a trial, and makes the subjective satisfaction of an executive authority in the first instance the sole test of competent exercise of power. We are not concerned with the wisdom of the Parliament in enacting the Act; or to determine whether circumstances exist which necessitate the retention on the statute book of the Act which confers upon the executive extraordinary power of detention for long period without trial. But we would be loath to attribute to the plain words used by the Parliament a restricted meaning so as to make the power more harsh and its operation more stringent. The word “revocation” is not, in our judgment, capable of a restricted interpretation without any indication by the Parliament of such an intention. Negligence or inaptitude of the detaining authority in making a defective order or in failing to comply with the mandatory provisions of the Act may in some cases enure for the benefit of the detenue to which he is not entitled. But it must be remembered that the Act confers power to make a serious invasion upon the liberty of the citizens by the subjective determination of facts by an executive authority, and the Parliament has provided several safeguards against misuse of the power. The very fact that a defective order has been passed, or that it has become invalid because of default in strictly complying with the mandatory provisions of the law bespeaks negligence on the part of the detaining authority, and the principle underlying s.13(2) is, in our view, the outcome of insistence by the Parliament that the detaining authority shall fully apply its mind to and comply with the requirements of the statute and of insistence upon refusal to countenance slipshod exercise of power. 9. This judgment has been followed repeatedly. In Har Jas Dev Singh Vs. State of Punjab & Ors., 1973 (2) SCC 575 (paragraph 4) was a case like the present of the detention order failing because of technical defects, and in Chhagan Bhagwan Kahar Vs. N.L. Kalna & Ors. reported in 1989 (2) SCC 318 at paragraphs 7 and 12, this Court went even further and stated that the quashing of an order of detention by a court would also fall within the meaning of “revocation”. 11. According to Mr. Basant, this would directly cover his case, and not being considered by the Constitution Bench judgment in 1969 (1) SCR 227 (supra), the ratio of this case ought to govern. We find it difficult to agree with this contention. First and foremost, the Defence of India Rules 1962 did not have a pari materia provision to Section 23(2) of the Act as in the present case. It was in this context that it was stated that nothing barred the Government from passing a fresh order of detention on the same facts, regard being had to the language of the Defence of India Rules which did not contain any bar to the passing of a second detention order on the same facts. In any case we find that the direct judgment which covers this case is the judgment of this Court in Hadibandhu Das case (supra) which, as has been stated earlier, has repeatedly been followed, and, is therefore, the law declared by this Court on this subject. Shri Basant then referred us to the language of Section 23(2), namely, the expression “where fresh facts have arisen…”. According to learned senior counsel, this expression would show that these facts should have arisen after the date of the first order of detention, and since facts have arisen after 5th September, 2016, the provisions of Section 23(2) are satisfied. We are afraid that this submission goes contrary to the express language of Section 23(2). The expression “where fresh facts have arisen..” is followed by “the date of revocation or expiry….”. Accepting Shri Basant’s submission would mean that we have to substitute the last expression with the words “the date of the detention order”. This cannot be done for two very good reasons. First and foremost, the 1981 Act being a statute which provides for preventive detention, it has to be construed keeping the subject’s liberty in mind, that is, it has to be construed keeping Articles 21 and 22 of the Constitution in mind. Here no supposed object of the Act can be looked at to defeat the aforesaid Articles of the Constitution particularly when the literal language of Section 23(2) leads only to the conclusion that it is the date of the revocation order and not the date of the original order of detention that is referred to. Accordingly, even this contention is without substance. 12. Accordingly, we set aside the judgment of the High Court and allow the appeal of the appellant. This necessarily means that the detention order dated 21.9.2016 is set aside. The passing of this judgment will not stand in the way of the State Government taking any other action against the appellant which they can take in accordance with law. Tags: ANANT SINGH @ ANANT KUMAR SINGHCRIMINAL APPEAL NO(S). 533/2017ROHINTON FALI NARIMAN MOHAN M. SHANTANAGOUDARThe State of Bihar and Ors.